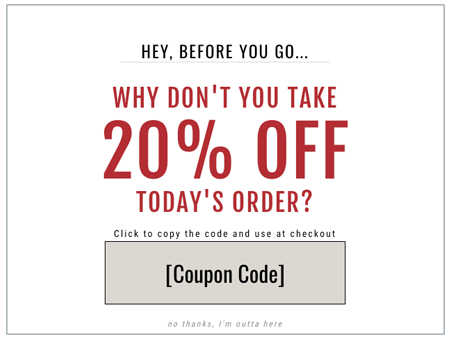 Have a coupon code! 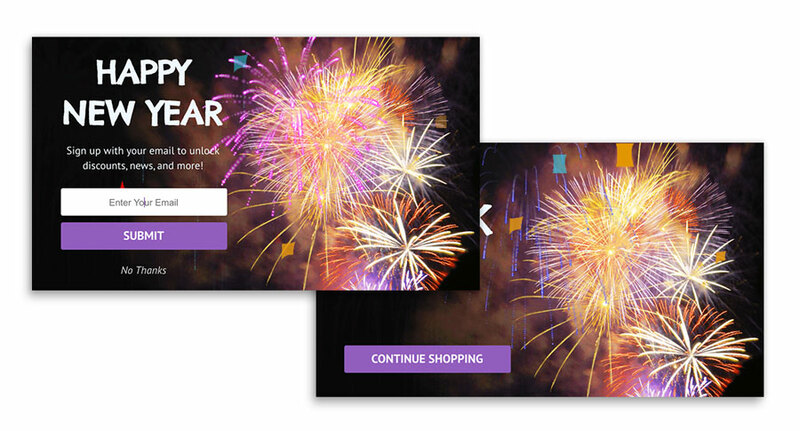 Enter it at checkout page. If you're not happy with your item we will issue a full refund, no questions asked. We made as much happy customers as many orders we shipped. Join our family. 2019 © GOFASHIONAL STORE All Rights Reserved. 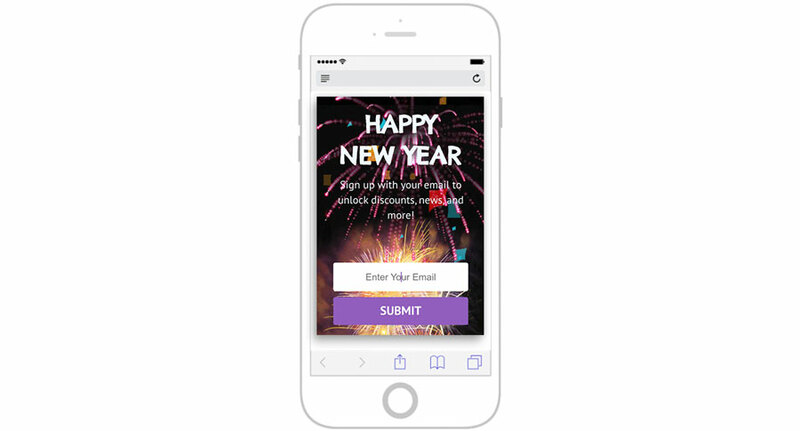 By providing my number, I electronically agree, that BEINTHEWEB AGENCY, or its agents may use automated means to send an recurring message of promotional or marketing messages to me at this mobile number. No purchases necessary of any goods or services. Message and data rates may apply. 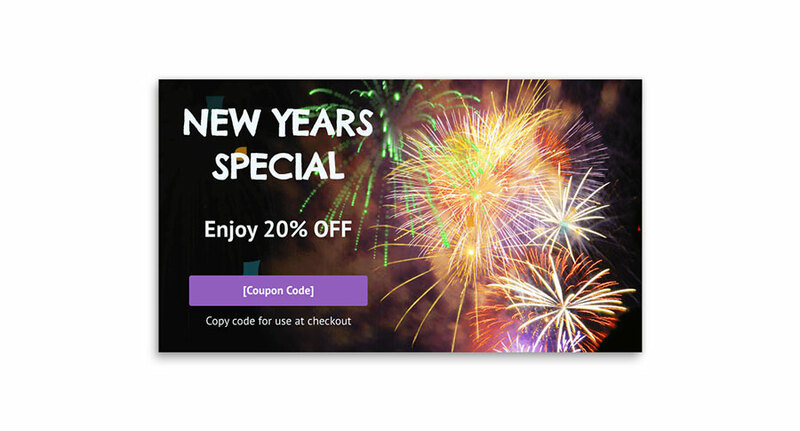 Simply select from any of our most effective pre-built promotions, edit the copy and publish! 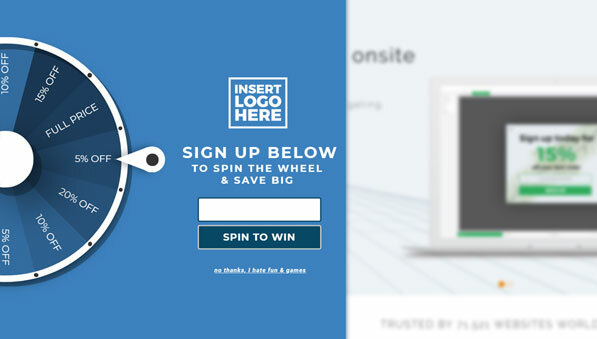 This promotion will show to new visitors if they have never engaged with this promotion before on the landing page after 15 seconds and will stop showing after 3 times if the visitors has not engaged. 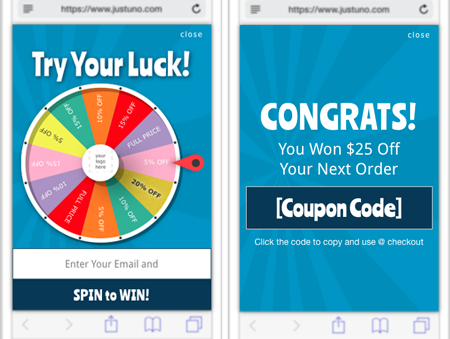 This promotion will show to new visitors if they have never engaged with this promotion before after 2 page views and after 15 seconds and will stop showing after 3 times if the visitors has not engaged. 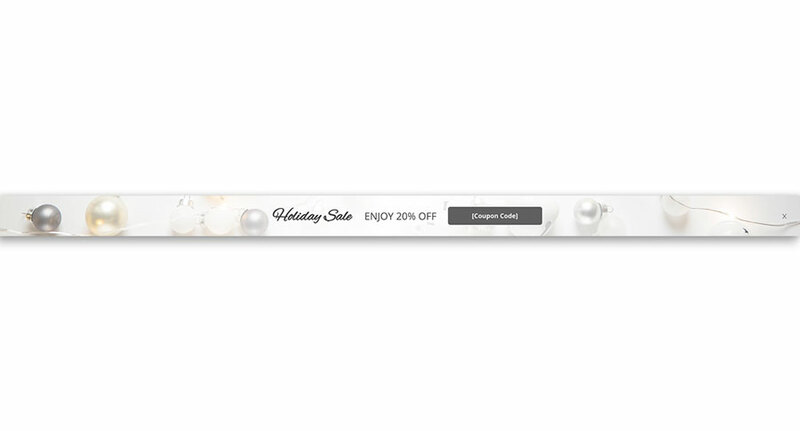 This promotion will show on the landing page to all visitors if they have not engaged with the promotion and will stop showing after they close it that visit. 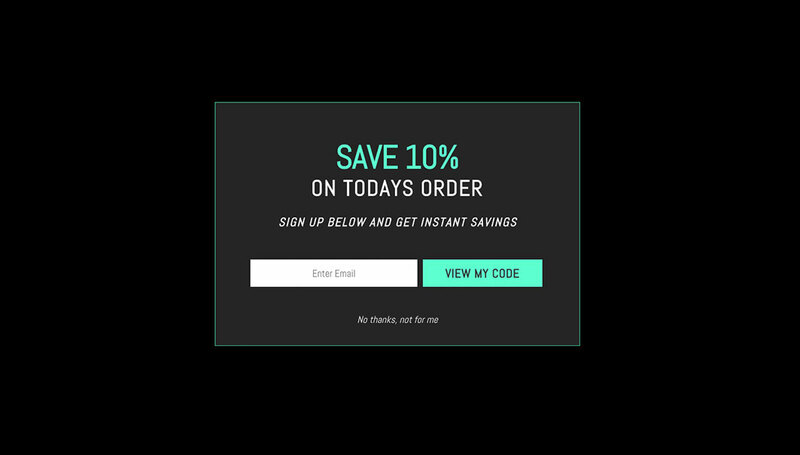 This promotion will show on the cart and checkout pages and will stop showing to any visitor who has engaged with the promotion previously. 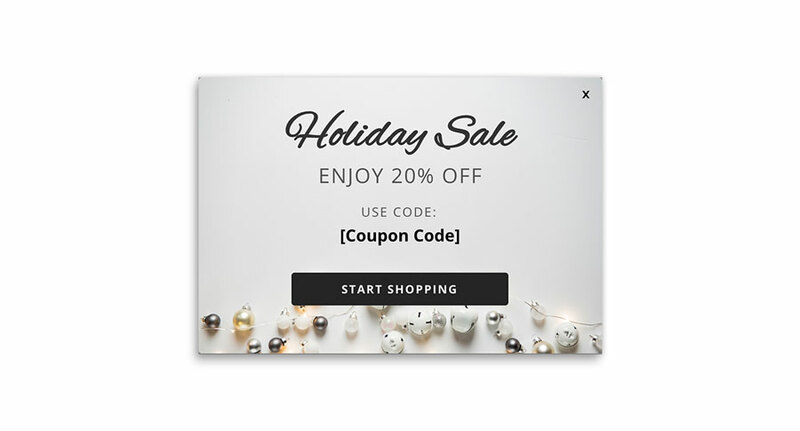 Pro tip: If you don't want to offer a discount, remove the coupon code layer and add a link to some downloadable content, or even run a giveaway! 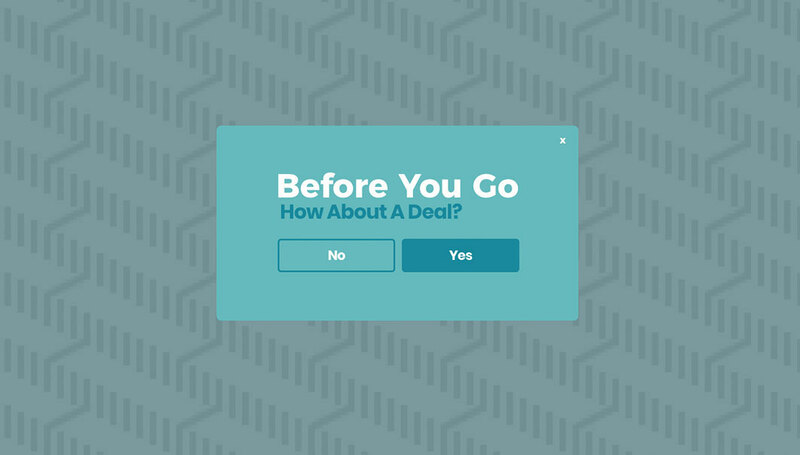 This banner will show to every visitor by default, asking them if they are willing to opt-in to your website's privacy policies. 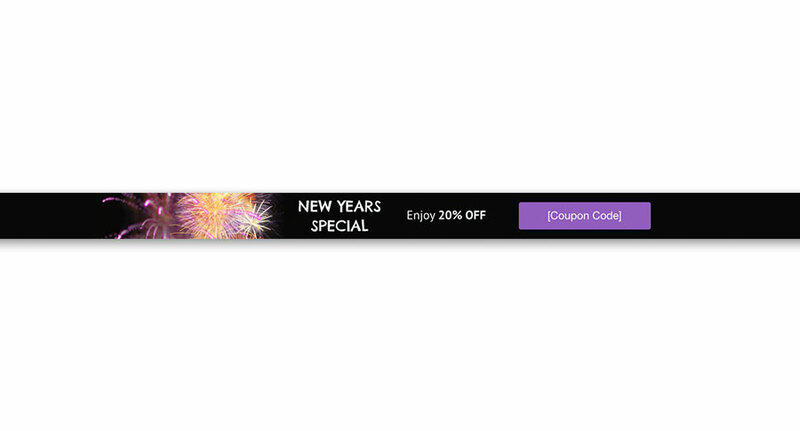 By default, this lead capture pop up will show after 10 seconds on the site to anyone who has not previously engaged with this promotion. 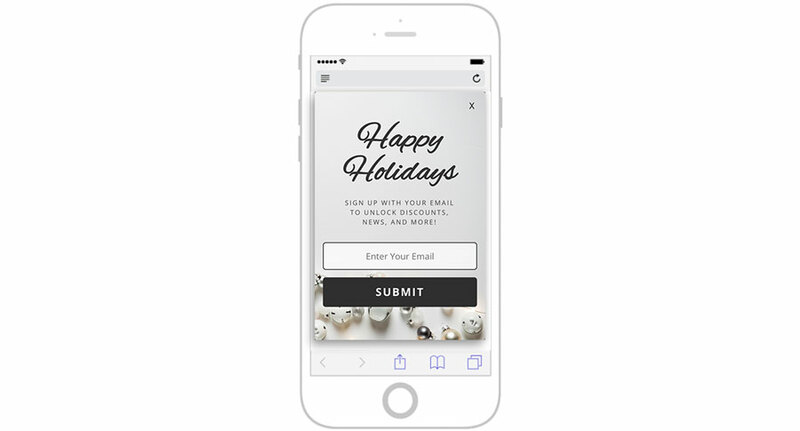 This lead capture pop up will show to visitors on your mobile site after one page load. 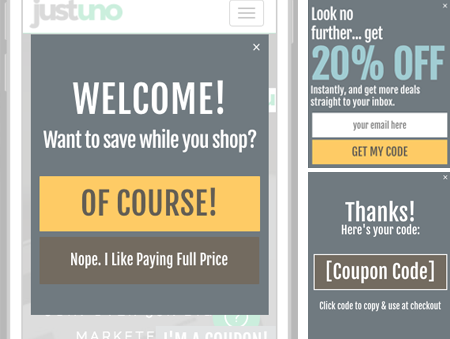 This is the second of our prebuilt options made to fit within Google's updated best practices for mobile pop ups, which allow for full screen promotions to show if not on the first page load, or if shown by user-generated action (such as a tab click). 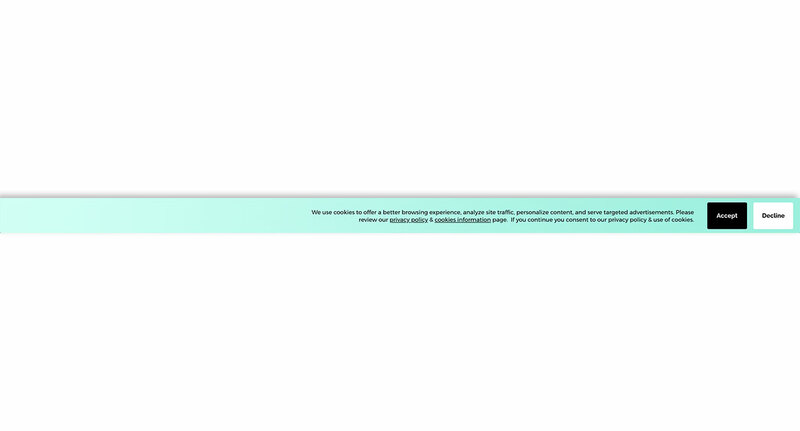 Pro tip: This promotion has a tab set to show on the first page load, which is OK by Google's best practices. 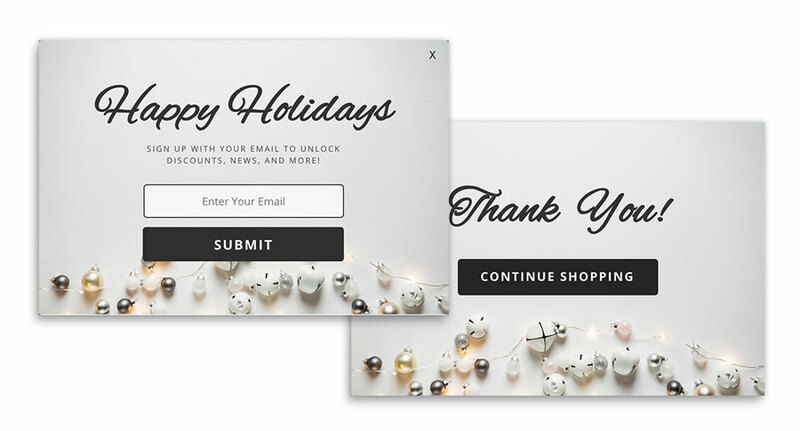 By default, this unlocked offer is set to show a discount code to visitors who are exiting either the cart or checkout page, if they have never previously engaged with this offer. 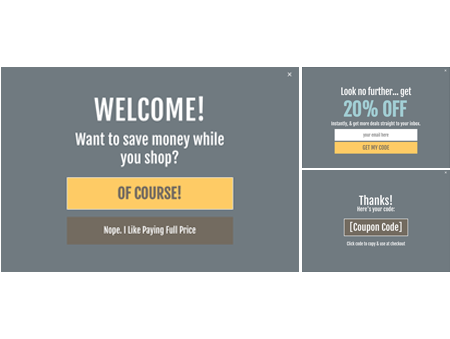 We recommend running this offer as it tends to provide a significant increase in sales conversions. 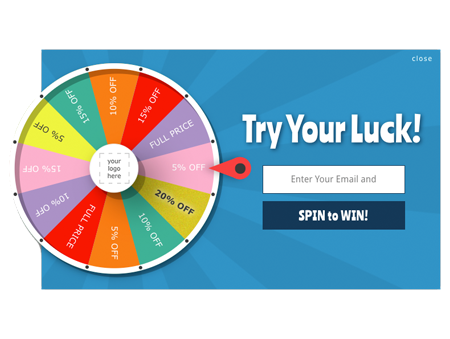 Give your visitors a fun way to win a discount on your website while you build your e-mail list. Pro tip: You choose all the discounts and the wheel always lands on the discount of your choice! Side Wheel Spin to Win! 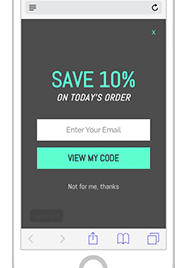 Give your mobile visitors a fun way to win a discount on your website while you build your e-mail list. Pro tip: You may need to update the rules if your cart and checkout pages don't contain "cart" and "checkout" respectively.